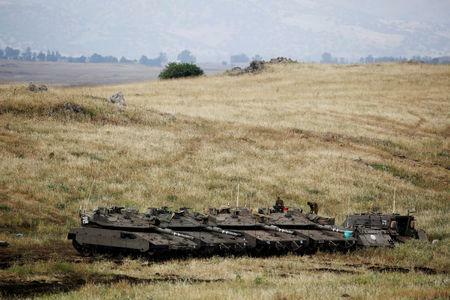 MOSCOW (Reuters) - The Kremlin said on Friday there was a hope that U.S. President Donald Trump's call to recognize Israeli sovereignty over the Golan Heights would remain just a call, and not be enacted. "It is just a call for now. Let's hope it will remain a call," Kremlin spokesman Dmitry Peskov told a conference call. He also said such calls risk seriously destabilizing the Middle East and harm efforts to find a peace settlement in the region. Trump tweeted on Thursday it was time to recognize Israeli sovereignty over the Golan Heights, territory that Israel seized from Syria in 1967.